a collection of pictures and stories from seven decades at Vito's. Visited my old home town last week and was staying at the Sorrento, where my wife and I were married nearly 30 years ago (Ruby Bishop played the piano!) and decided to check out Vito’s, where my dad lunched at least three times a week when I was growing up, and later I frequently joined him, when I was practicing law in Seattle. I can’t even remember my first trip there, but it was early, and Vito and his brother Jimmy had, as I recall, a smoke shop downtown called ViJi’s. Jimmy at some point got nabbed running a book out of the place and became enmeshed in the criminal justice system for a time, so Vito went up the hill to open Vito’s. I do remember Sheriff Tim McCullough giving me a silver dollar one Saturday when I was there for lunch with my dad. I was about ten, so it would have been around 1958. Possibly one of the first police payoffs to occur at Vito’s? When my former boss, Senator Warren Magnuson died, I held a wake for him in the back room, and I think that Shelby Scates of the PI wrote a column about it. 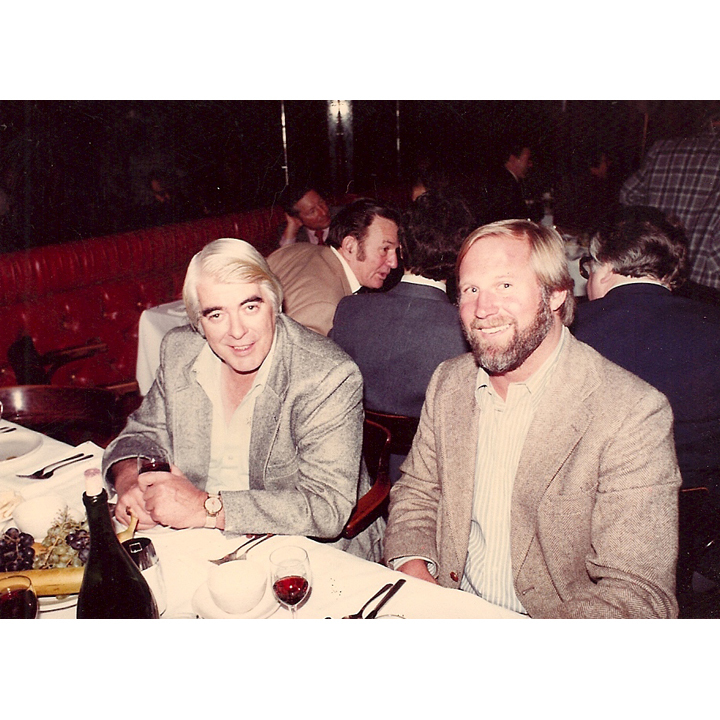 Another time I brought Charlie Royer in for dinner when I was working for him after Magnuson’s loss to Gorton. Charlie was having a debate that night with City Council President Sam Smith and wanted a good Italian meal. I said, “How about Vito’s?” He said, “I know that’s where your dad and all those crooked cops and gangsters hang out, can I afford to be seen there?” I assured him we would find a quiet back table and the place was so dark and smoky, no-one would be able to see him. Well, of course, from his perch at the “Family Table” in back, Vito immediately spotted us, and started telling Charlie how lucky he was to have “Tom Keefe’s boy” working for him, blah, blah blah. As Charlie was digging into his plate of spaghetti and meatballs, Vito came back over and said, “You know, Mr. Mayor, you can always come in here for a meal and I will make sure people leave you alone. I don’t let drunks pester my guests. In fact one time a guy was pestering a politician and I told him to knock it off and he wouldn’t, so I hit him with a short right hand shot right on the point of his chin. You wouldn’t have believed it! As he was falling to the floor his goddamn eyeball popped right out of his head and was dangling from the strings back into the socket. He was screaming like hell, and we had to call an ambulance, and those guys put his eye back in and everything was ok. But it was the goddamnist thing I ever saw!” I looked at the mayor and he was whiter than a sheet, and his last meatball and the remaining spaghetti were still on the plate when we left. As we drove off, Charlie looked at me and said, “Your friend Vito really knows how to make a guest feel at home!” The mayor was magnificent in the debate that evening with Councilman Smith, and I attributed his success to the pre-debate meal at Vito’s! Jeez, what memories I have of Vito’s! Brooke, your server, couldn’t have been nicer, and my new Vito’s t-shirt has a place of honor in my collection. Have a story to tell about your time at Vito's? We would love to hear about it. Email us your story.